Director Spike Jonze is a really weird guy. He’s done movies like “Being John Malkovich” and music videos for Weezer, Beastie Boys and Fatboy Slim. His latest is “Where the Wild Things Are” and has been struggling to get this movie made for years. He was a huge fan of the Maurice Sendak children’s story, as was I. He wanted to make sure this beloved story was done justice and done right. I’m really sorry to say that if he thinks it was done justice and right then I wish the project was never made. One of the biggest fears that I have when I hear a children’s book is being made into a feature film is that they’re going to add so much to the story that what you loved as a kid is merely a shell of what it’s become. Not only did that happen here, but what I loved as a kid was recognizable ONLY by the visuals on the screen. Jonze and co-writer, David Eggers, managed to take a children’s story and craft a deeply confusing and manically emotional story out of what was originally an 8 sentence storybook. Now I don’t think that that’s a bad idea, but boy did they miss the mark. I saw this with my fiance who has a Masters in analyzing literature and extracting meaning from stories and she didn’t get it. I didn’t get it either. And boy will your kids not get it. It’s rated “PG” but don’t let that fool you – this is not a kid’s movie. Not because it’s too scary or violent (which it actually might be for some) but because it’s dull, slow and WAY over the heads of kids. And that’s fine with me, but it’s way over the heads of adults too. There’s no resolution, nothing is learned and characters have no arcs or motives. So disappointing since I really wanted to like this movie. Not just because I loved the book as a kid, but also because the trailers released for it almost brought me to tears. The only positive thing I can say about the movie is that Jonze’s ability to translate his imagination to things you can actually see is amazing. The sets are incredible and the use of such diverse landscapes of nature and phases of the sun gave the movie a real organic feel that helped you buy into the fantasy. But the costumes are the crown jewel. Newcomer Max Records (who plays “Max”) is acting beyond his years and to do it to 12′ high, fuzzy costumes with CGI faces is even more impressive. The voice work of Paul Dano (“There Will Be Blood”), Catherine O’Hara (“Orange County”) and James Gandolfini (“The Sopranos”) is so convincing, you’d think it was them in make-up (even though Gandolfini just plays the bipolar Tony Soprano all over again, only this time he’s fuzzy and adorable.) However those are the only positive things I can say about this boring, plodding movie that is too childish for adults, too adult for children and too odd for everyone. But oh well, at least I tried to end on a happy note, which is more than I can say for the film. Good review Gavin. I’m glad the movie was made. I really liked it and this is coming from a 42 year old who still has his original copy he had as a kid. I LOVED that the movie didn’t explain much and let the audience figure it out. I also liked that whether you believe Max really went to the island or that it was all in his head- it doesn’t matter. And yeah the use of the sun impressed me the most. Now to find a Max costume for Halloween! I took my sons (5 & 6) and my boyfriend to see it and we all loved it. I think it may have flown over your head because the BOOK was about how a child reacts to not getting his way and change. 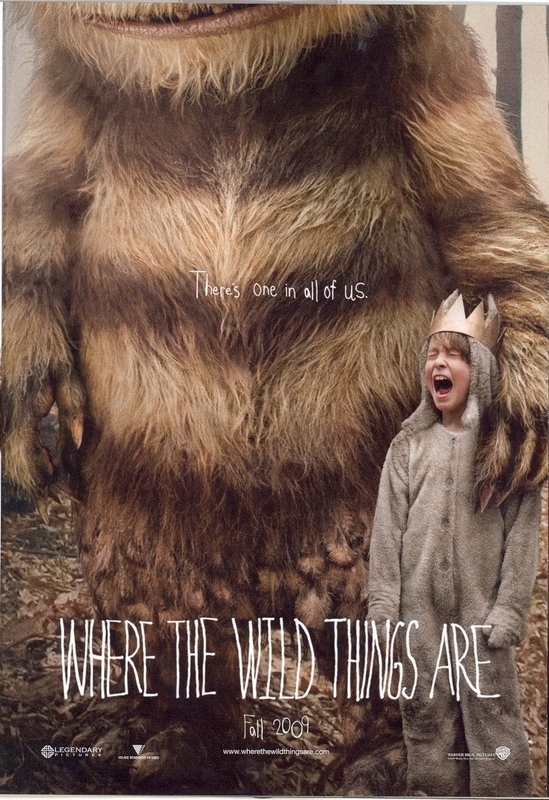 The movie did a wonderful job at portraying the “wild things” as different parts of Max’s psyche and how these parts of the mind work together (or not) at processing difficult situations and changes in life through a child’s emotional level. The movie was a great adaptation and a teaching moment to my children. It isn’t your typical shallow-forget-reality Hollywood movie, it was meant for the viewer to analyze and interpret.